Turbo Air M272300100 Equivalent Magnetic Door Gasket - 25 1/2" x 26 1/2"
This Turbo Air M272300100 equivalent door gasket is a perfect fit for the one that comes with select salad prep tables and undercounter units. When broken or worn out, that original gasket can lead to temperature loss within the cabinet, causing the unit's refrigeration system to use more energy and decrease the efficiency of your foodservice operation. Replacing the gasket ensures a tight seal on the door, allowing the unit to run exactly the way it's intended. 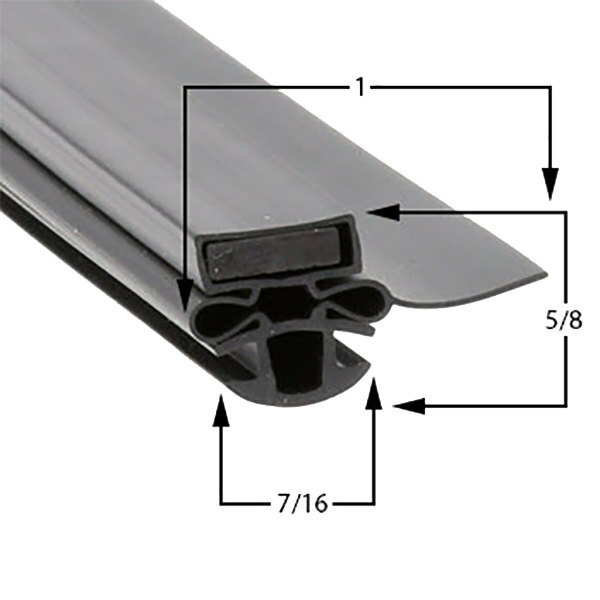 This gasket boasts a completely molded frame with quality heat-welded corners.